The weather has been pretty chilly lately and all the leaves have started changing colors! 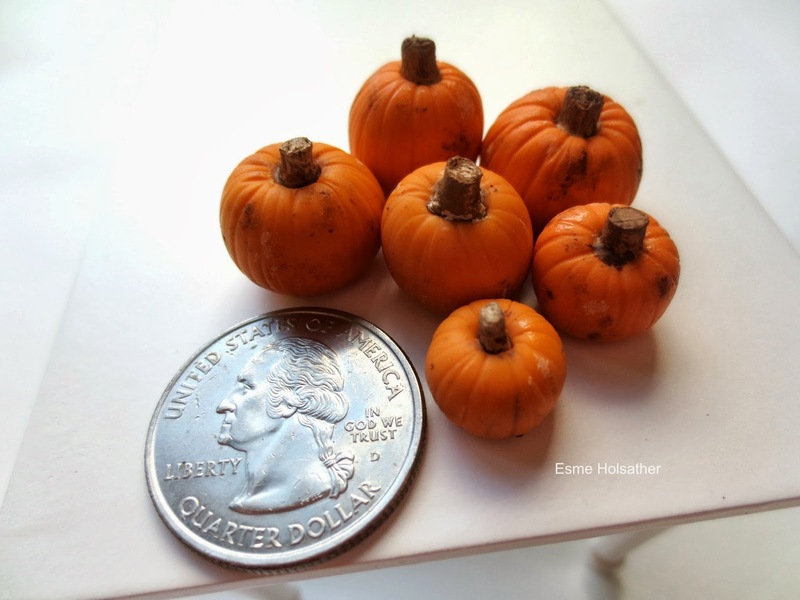 I've been getting into the fall mood by sculpting lots of miniature pumpkins! 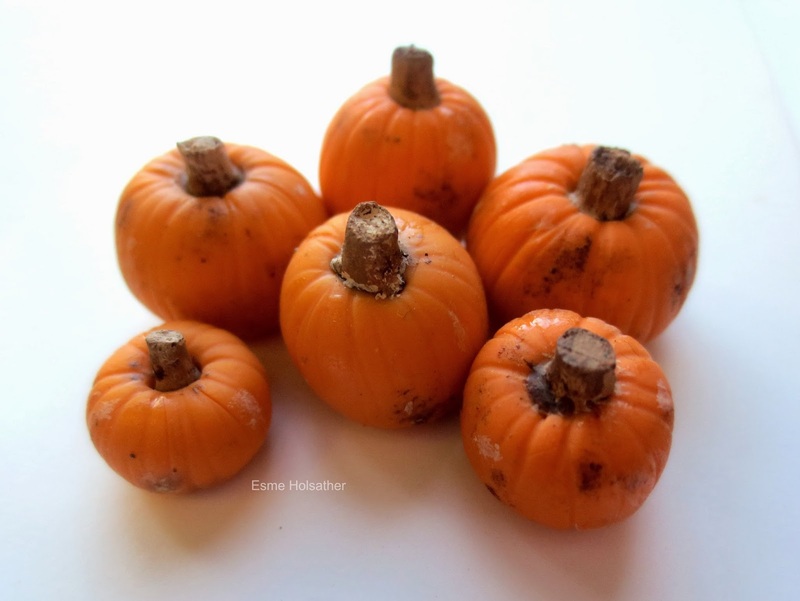 These 1:12th scale pumpkins look like they're just out of the pumpkin patch! This jack o' lantern preparation board was a fun challenge to work on. 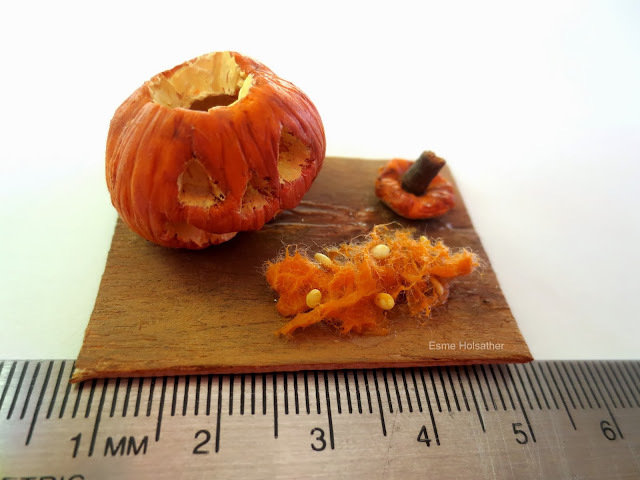 The pumpkin guts took lots of tries to get right! 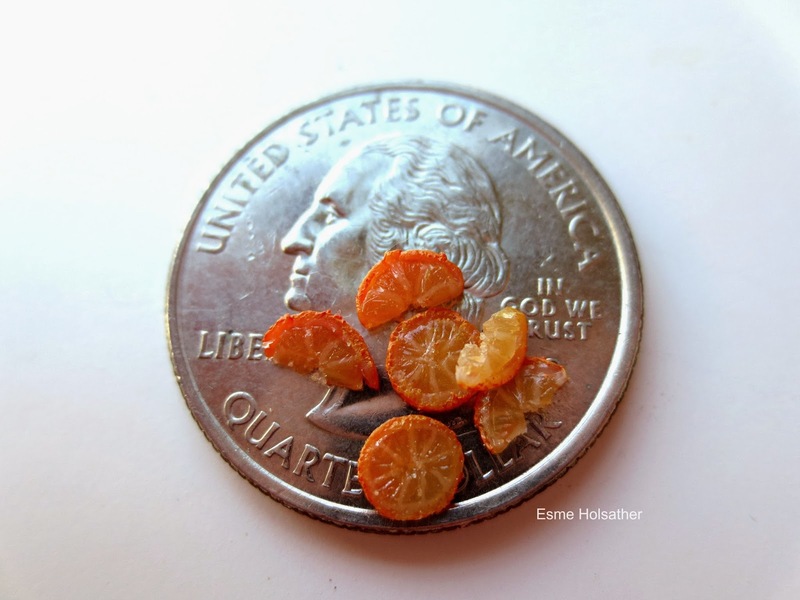 Wow, that partly dried up pumpkin is the bomb!